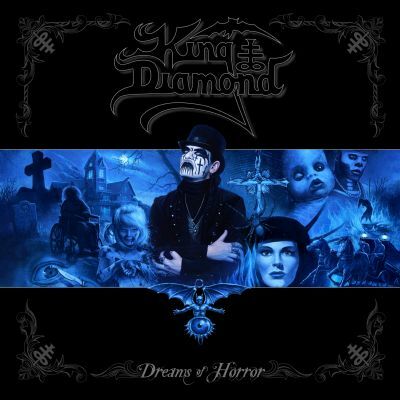 KING DIAMOND - DREAMS OF HORROR (2CD DIGI) | Online Shop | Wizard LTD. Album: "DREAMS OF HORROR (2CD DIGI)"
years with Roadrunner and Metal Blade. This compilation of tracks will serve as the ultimate versions of each of these songs. No better version will exist anywhere else and this is the first compilation in which the band has chosen each song. Most of these songs have been played live, or will be played live again soon, so one can think of this as studio versions of King Diamond&apos;s live set, plus a little extra. And as fans are surely well aware, King Diamond is as synonymous with chilling story telling as they are with top shelf song writing. So, let us peak behind the curtain to see what makes these particular songs worthy of summarizing and exemplifying such a massive and historic catalog of music.